The Color Muse Is An Eyedropper Tool For Real Life | OhGizmo! By David Ponce on 11/08/16 • Leave a comment! You know the Eyedropper Tool in almost every photo editing software? It allows you to identify the exact color of any spot on an image just by clicking on the part you want? It’s pretty useful and now you can do the same thing in real life with the Color Muse. 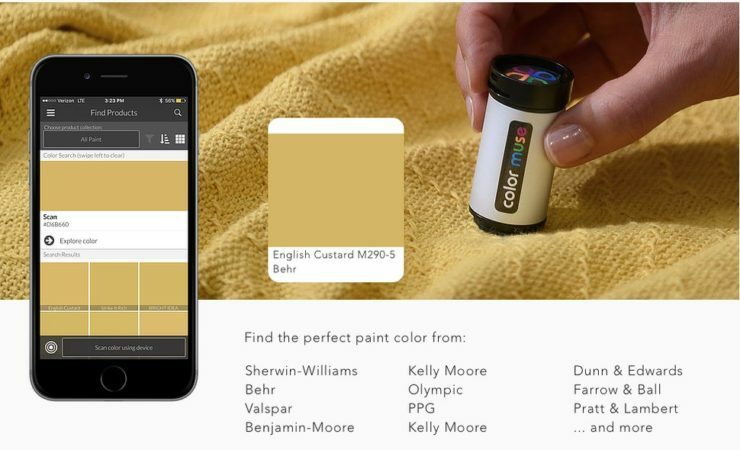 Just place it over anything you want to color-match, and the small handheld device will scan and output not only which color you’re looking at, but a list of possible combinations that would look good with it. 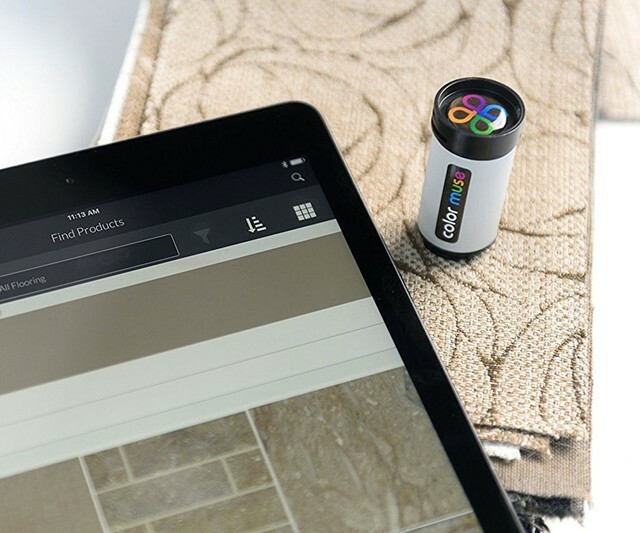 It connects to your smartphone, which opens the door to a lot of functionality, such as getting the namebrand paints, tile, floorcovering and other products [that] match the scanned color. It’s also quite inexpensive, at $49.